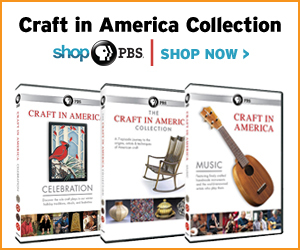 CELEBRATION examines the role craft plays in our holiday customs, with a focus on our winter observances and the traditions that are handed down from one generation to another as well as new rituals that define the season. In Detroit, a city that was once the heartbeat of industrial America and today is being revitalized, in part, by artists who are building on the traditions established by previous generations of Detroit artisans. 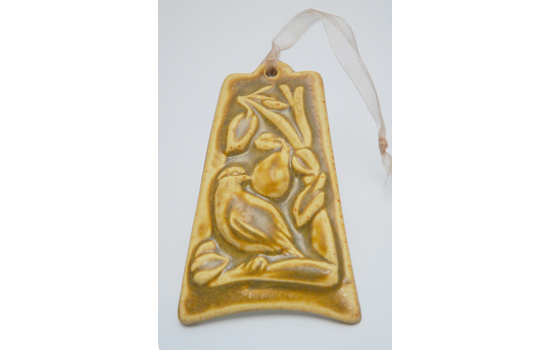 This rebirth can be seen at Pewabic, founded in 1905, long honored for its museum quality ceramics with a unique iridescent glaze, and now one of only two active turn-of-the-century pottery studios in the country. CELEBRATION focuses on Pewabic's holiday contribution, the creation of its 12 Days of Christmas ornaments that not only decorate Christmas trees throughout the city but also are sought after by families across the country. Pewabic's potters and artists are well aware of their importance to Detroit. Chris Mayse, kiln technician at the studio, says, "I think Detroit is currently at a turning point for young artists, much like Berlin was, where inexpensive space and materials breed new art which with any luck can revitalize this city." Chicago artist Babatunde has been making kinaras, the candleholders for Kwanzaa celebrations, for more than forty years. Based on African harvest celebrations, Kwanzaa is a time of self-affirmation and reflection for African American communities and families. 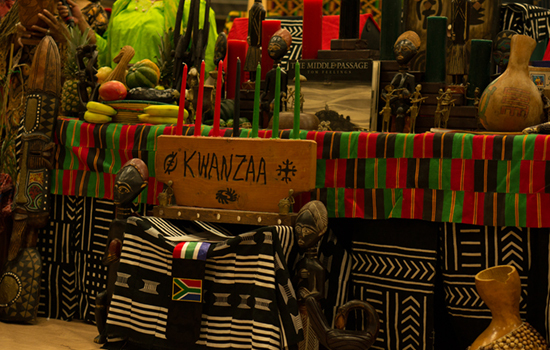 At Chicago State University, we join with people of all ages in the music and dancing of the Kwanzaa festivities, and are given insights into the meaning of the ceremonial table and the traditions of the seven days of Kwanzaa. As Babatunde explains, "Kwanzaa is a time where we ask what can we do this year that we didn't do last year? Kwanzaa honors people coming together to make a better life." Despite the ubiquity of email, Facebook and Instagram, there is something about our holidays that encourages us to embrace earlier customs, including sending greeting cards to friends and family. 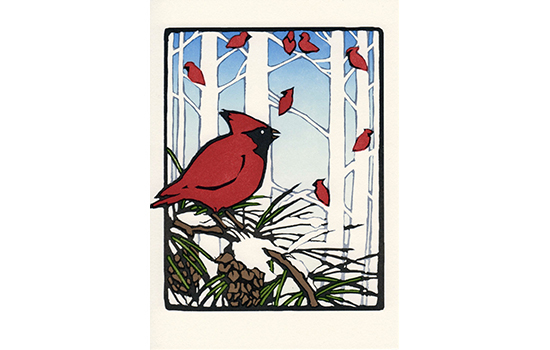 Woodblock artist Yoshiko Yamamoto shows us how she creates a special Winter Cardinals card for this episode; from the inspirational walk in the forest near her home in Tacoma, Washington, to the first sketch, carving and painting the block, to hand cranking the press and printing the vibrant card. Yamamoto and her husband Bruce Smith founded The Arts and Craft Press and over the decades she has created more than 50 holiday cards. 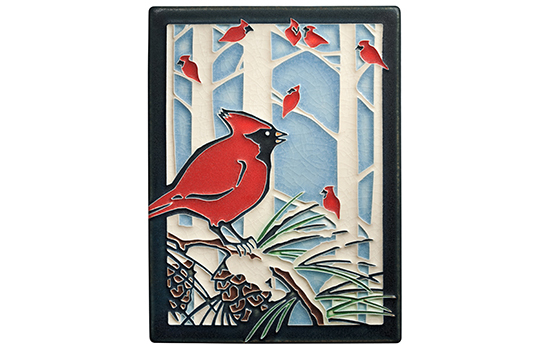 Yamamoto then shares her Winter Cardinals design with ceramic artist Nawal Motawi in Ann Arbor, Michigan. Nawal and the artists at Motawi Tileworks translate the Winter Cardinals into a ceramic tile, using their signature raised-line technique to produce a simple and elegant work of art. They use a combination of computer tools (including a CNC router to create a detailed mold) along with traditional hand craft methods of applying glazes to create distinctive interpretations full of the color and feel of the original winter scene. 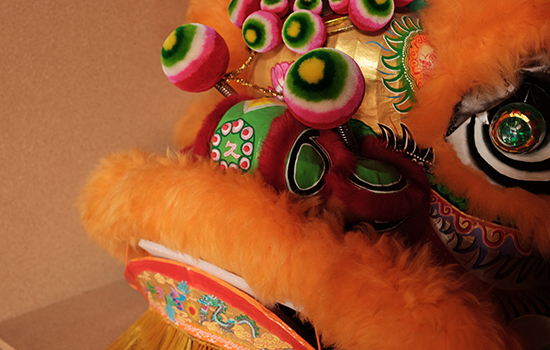 In San Francisco, the Chinese New Year festival has grown to be the largest celebration of Asian culture outside of Asia. Started in 1860 by Chinese immigrants to America, the 150-year-old tradition of celebrating the Chinese New Year with a parade continues to thrive. Artists Corey Chan and Jeff Lee carry on the tradition of the lion dance and dragon-making to a new generation of artists, while Dave Thomas, Stephanie Mufson, and Yumei Hou, with a staff of exceptional artists, create over 20 floats for the parade, estimated to draw more than a million spectators. The artists' dazzling ability to combine form with function comes together in an explosion of light, color and fireworks as the parade's finale, the astonishing 268-foot red and gold dragon, glides through the nighttime San Francisco streets – a tribute to the important history of Chinese Americans and a celebration that connects us all. Nawal Motawi demonstrates the Kanban production control system used at Motawi Tileworks. Dave Zink shows us Pewabic's filter press and talks about how they prepare their clay.